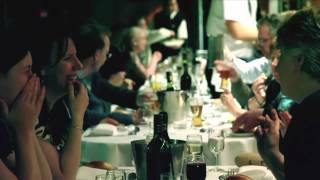 When only the best will do the Gold Penfolds Dinner Cruise will impress from the first moment until the last. Enjoy priority boarding and welcome reception on the top deck, upper deck Gold seating, live music, six-course degustation dining and Penfolds gold selection of private bin and vintage wines to complement each course. All set the spectacular backdrop of Sydney by night aboard your prestigious cruise ship MV Sydney 2000. Enjoy priority boarding, sparkling wine under a starry sky (constellation Crux is a must see for any visitor from the northern hemisphere), gold restaurant seating with views, the sultry entertainment of their lounge singer or live band, a six course tasting menu all accompanied by Penfolds gold selection of bin and vintage Australian wines or spirits if you prefer.